We are a crew of professional photographers and cameramen based on Koh Samui island. We have a worldwide experience of photo and video and finally we’ve found our inspiration in Thailand. It’s a pure pleasure to capture the most important moments of loving people on the most bright and picturesque background ever. The main direction of our work is weddings. We work with a variety of budgets, decorations, newlyweds and guests. But all this is absolutely not important. The main thing is love, warmth and sincere feelings, happiness and pleasure from this day, which the couple experiences. If this is all there, then everything will be wonderful! The colorful and romantic scenario of South Thailand and the marvelous background of Siam Gulf of Thailand. It will be a perfect day for two young lovers, sunny, warm, although there could be the Christmas’ Eve somewhere at your homeland. Professional video than we make for you on the tropical island will help you remember not only the highlights but also to experience them again. Contemporary, creative, romantic and fun tailored to suit your individual personalities. The best photos show real emotions and therefore it is appreciated more than a beautifully placed couple in a beautiful place. True photos, with real, not affected emotions, this is exactly what the bride and groom want to see in their wedding album. And here we would like to introduce you some wedding shots what we catched on the real weddings for last few years. How are we doing our photo shoots? If you've never ordered a photo session you have the question, how does the photoshoot takes place? In fact, you must not know much about it, because the duty of professional is to prepare you and help you to relax during the shooting, without troubling where to stand, how to pose etc. That’s why it is very important to meet with your photographer before shooting or remotely using the Internet to discuss all the details. Fortunately skype, whatsapp and other social networks allow to do it regardless of your location. After discussing all the details and the booking date, by making 20-30% prepayment for filming the photographer will be your assistant and guide in order to get the best result. In day of shooting our team filming your important day and catch all the moments that you can remember this event for all your future life. Usually in wedding day you pay the rest amount. And after shooting photographer processes pictures for 3-4 weeks and sends them to you by any convenient way via the Internet. The edition includes a color correction and basic retouching of all pictures. This will allow you to get the pictures that correspond to the level of the photographer’s portfolio. Dimas is great photographer! We had our wedding in Koh Samui and Dimas was professional, by that I mean not only best quality photos, but also his attitude to persons he is shooting. He is friendly and gives good advices, to make you feel more comfortable at the time of big event. He knows his job, and as the results all the photos are just great! Photos are very emotional, it is amazing to look at them, as they remind you of the emotions you felt at the wedding. I would definitely advice to work with Dimas. He is real professional in all the meaning of this word. Dimas is really great photograph! All photos from our wedding are just amazing! You can see and feel emotions at our pictures, it is the best criterium for a professional photograph. Thank you Dimas so much! At your service there are all our art passion and latest photo equipment. You mustn’t worry about how to pose and how do you look in the frame. All you need to do is to live, to love, to have fun in front of the camera, and our professionals will help create the right atmosphere. How far should you book in advance? Normally it is 3-6 months, as soon as you have a date and venue. 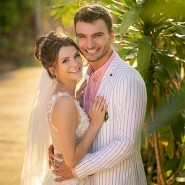 Your professional wedding photography on Samui will be the best souvenir you could bring from Thailand! This island has plenty of diverse locations for any kind of shooting. Rendezvous-shoots in unexpected locations - such as non-tourist scenic spots, fruit gardens, picturesque places right in the middle of the city. We recommend shooting lasting more than 3 hours in order for you to have time to get different type of photos with different outfits. We are also working with the independent professional make up artists and hairdressers. It’s up to you if to use their service if you would like a professional touch on you. As Mark Twain said, - “Only two things we will regret on deathbed - that little loved and little traveled.” Love and travel are inseparable phenomena, how else to explain the fact that exotic islands are the favorite places for weddings and romantic adventures? The couples love the dynamic, movie look style and at the same time “epic” photos that could capture a beauty of surrounding landscapes. So we use all our skills and techniques to produce stunning and romantic imagery from your wedding day. 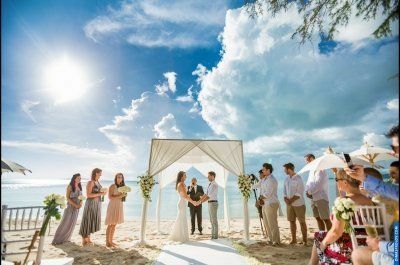 We would also like to add that the relationship you have with your Samui wedding photographer will be the most important you have with any of the services you will hire for your wedding. We really put all our soul not only in the hat you get high-quality photos, and that you enjoyed the process of shooting and wedding day passed in a light and friendly atmosphere.